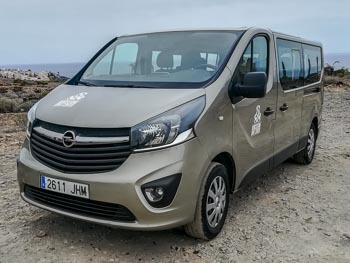 From the south part of Tenerife (between Los Gigantes and Los Cristianos), we offer to our divers free transfer to the diving center. 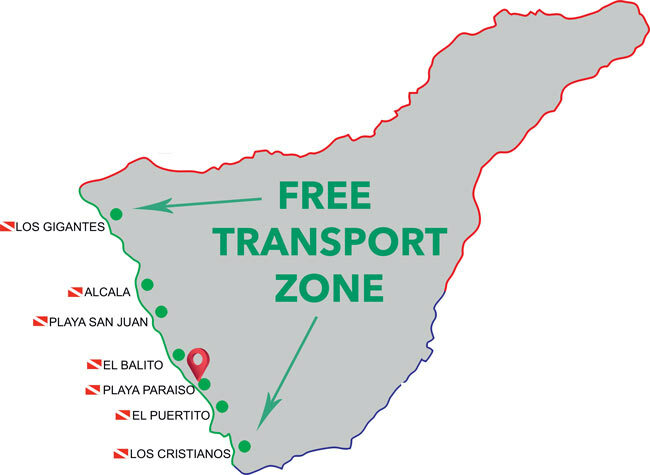 Send us name of your hotel to check if stays in the zone. 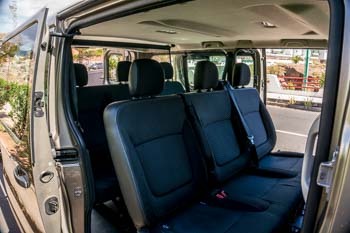 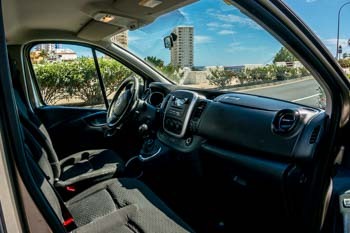 Our main car is Opel Vivaro than can take up to 9 persons. 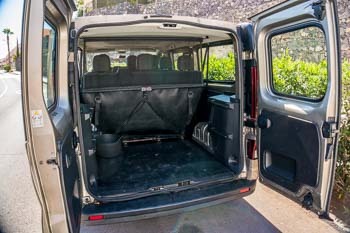 We also use Citroen Berlingo if we have a small group or need to separate for 2 different dive sites.